participants than ever on Sunday. The event began with only 654 runners from 14 countries in 1996, but this year 4,050 athletes from 53 countries took part. won the silver medal at Barcelona in 1992 and bronze at Atlanta in 1996.
contribute to fund-raising for landmine victims and the poor. actions to all victims by landmines,” he said. and Japanese comedian Hiroshi Neko to third in 1:16:0. 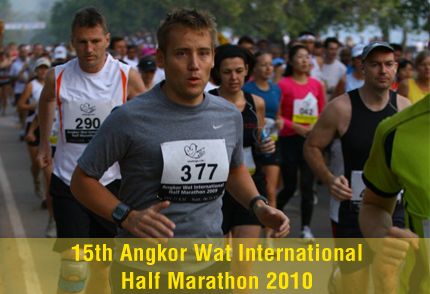 The 15th Angkor Wat International Half Marathon also included races from 3,000 to 10,000 meters. An emotional homecoming for the first Cambodian-born US Navy commander Jennifer Denman: 10 Reasons I love Cambodia!